The Windows ship is leaking in a dozen places, pierced beneath the waterline by very pointy iPads. Where the Mac never really made a dent in Microsoft's PC hegemony, the iPad is doing so: it's being handed to children as a first computer, appearing in schools, and running point-of-sale systems for small businesses. If you consider the iPad a PC, then Apple's the No. 1 PC maker, according to research firm Canalys. That makes the iPad public enemy number one for Microsoft if it intends to maintain its PC leadership, and the new Surface tablet is Microsoft's primary weapon. Surface comes in two versions. The Windows RT version matches the iPad on price, but has relatively few apps; all the same, this will be the model at which most consumers look. 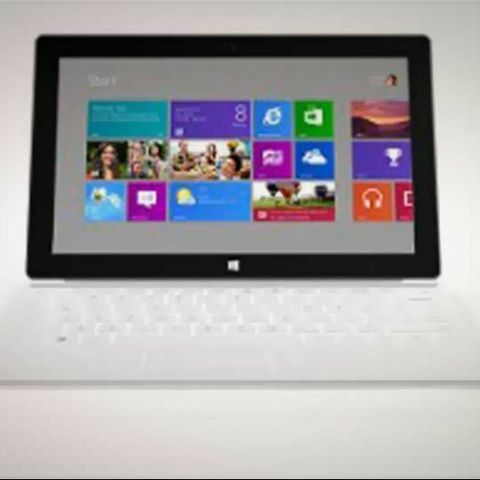 The more-expensive Windows 8 "Surface Pro" version will run existing business software. I hate calling things a "such-and-such killer," but Microsoft needs to at least slow the iPad penetration of iPads in business and claim a part of the consumer market. How can the company do that? Here are five paths to take. Apple iPad mini versus the iPad 2: Which iPad should you buy? Developers, developers, developers. Windows RT has fewer than 3,000 apps. The iPad has 250,000. Microsoft needs to beg, borrow, or steal to pump up the app count for RT. Fortunately, the company has plenty of experience with this - it's managed to nurture more than 100,000 apps for Windows Phone even with that platform stuck in single-digit market share. Bring that experience to bear with the Surface and apps should ramp up nicely. Bring Xbox to Windows RT. XBox is Microsoft's most beloved consumer brand. And unlike the PS Vita and Nintendo DS, the Surface has enough horsepower to run pretty good approximations of Xbox games. Microsoft needs to bring as much of the Xbox experience as possible to the Surface. Once again, the company has done a pretty good job of this with Windows Phone, and it can do an even better job with the more powerful hardware here. Reclaim Ground With Small Businesses. Small businesses are increasingly moving to iPad-based point-of-sale, order-taking and management systems. This major disruption has been brought on by Square and its ilk, and it's cannibalizing the stodgy old world of retail business systems. Square's Jack Dorsey has hinted at a Windows Phone app coming, but Square isn't the be-all and end-all of small business systems. Microsoft needs to seize the day with custom Surface packages with hardware and software priced competitively to iPad solutions for different small business categories such as retail, real estate, and transportation. Be Enterprise's Best Friend. IT managers love a good relationship, and Apple has been cozying up to formerly PC-only shops, explaining to them how they can replace virus-prone, heavy PCs with light, secure iPads. Microsoft still has the infrastructure to take this back. Make sure that Surface RT can be managed with the same tools as enterprise Windows 8 installations, and then promote it as something that has all of the advantages of the iPad with more familiarity for Windows-friendly IT departments. If Microsoft wants to lean on SkyDrive, it needs to be enterprise-ready and secure enough for financial and legal firms. Make Other Tablets Look Like Toys. Microsoft Office is the Surface's greatest strength. It must integrate perfectly with the Office used on desktops, both from a user perspective (with even complex formatting intact, and features like version-tracking working properly) and from an infrastructure perspective (working with secure servers, domains, and policies.) Microsoft Office is, for better or worse, the backbone of American commerce. If Microsoft can make the Surface look like the only truly serious tablet, then it has a solid chance. I only want 3/5 apps on my mobile phone to keep things simple. What would you suggest I must have apps.